It is New Year’s Eve, 1990, and Ru’s father has disappeared again. Haunted by the horrors of the Vietnam War, Jack has been an erratic - and at times violent - presence in his family’s life. Meanwhile, Ru’s sister, Lani, is constantly fighting with their mother, both suffocated by the small country town where they live. And then there’s Les, Jack’s brother, destined to be on the periphery, but harbouring his own desires. As each of the five reckons with the past, what emerges is an incandescent portrait of one family forever scarred by war. Tender, brutal, and heart-stopping in its beauty, A Loving, Faithful Animal is a hypnotic novel by one of Australia’s brightest talents. One of the many threads that run quietly through the background of Josephine Rowe’s first novel is the idea of holidays – Easter, New Year, times of year that are meant to bring families together, the individual rituals of each household a source of comfort. But for the family at the centre of A loving, faithful animal, there is nothing warm or comforting about the mechanics of family life. Broken by the Vietnam War, Ru’s father Jack has become an unpredictable, hulking presence, violent and moody, prone to leaving for long spells without notice. After an incident on New Year’s Eve 1990, Jack leaves again, this time seemingly for good. This event acts as the fulcrum of the novel, echoing outwards across years and perspectives – Jack wracked with frustration, guilt and lingering trauma, his wife Evelyn hardened against his violence and bitter about the life she might have had. Ru’s older sister, Lani, clashes with her mother and rails against the confines of small town life, teenage nihilism masking her guilt and estrangement. Meanwhile, those left behind – the eager-to-please Ru and her quiet, inscrutable uncle Les – find their allegiances torn as they try to keep their own heads above water. Until now, Rowe has specialised in microfictions, and her mastery of that form has carried over into her longer work – every sentence is considered and deliberate, every detail feels important. The book is a slow, contemplative read, one that suits immersion, rather than reading in short bursts. 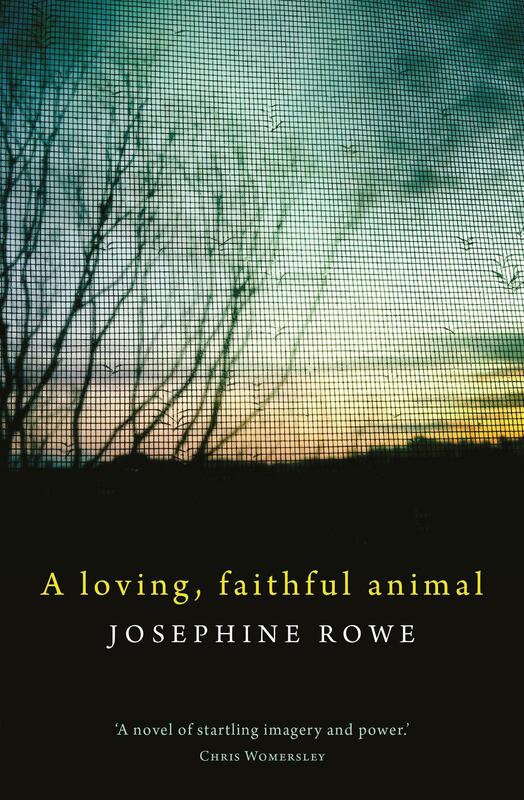 There’s a hint of the Australian Gothic in the book’s portrayal of small town despair, and Rowe’s portrayal of her characters is tender but uncompromising – each is deeply flawed but heart-rendingly sympathetic. A loving, faithful animal is quietly, catastrophically beautiful, a powerful new work by one of Australia’s most gifted writers. One house, one weekend, and three couples in various states of marital disarray. A witty satire about fidelity and modern relationships.